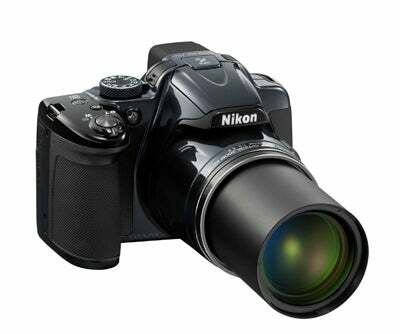 Superseding the Nikon P510, the all-new P520 advances on its predecessor by incorporating a massive 42x optical zoom lens that’s equivalent to 24-1000mm. This versatile zoom lens has a variable aperture of f/3-5.9 and features a construction that’s made up of 14 elements in 10 groups. To help minimise chromatic aberrations, four ED glass elements are included and the camera benefits from Nikon’s advanced lens-shift vibration reduction technology to keep handheld shots sharp. Lens aside, the Coolpix P520 features an 18MP CMOS sensor and a large 3.2in, 921l-dot vari-angle screen at the rear, which is claimed to be the same screen as used on some of Nikon’s DSLRs. For more advanced users, the P520 offers full control over camera settings, with a mode dial for access to manual exposure settings (P/S/A/M). There’s also a one-touch full HD movie mode to make it easier to shoot video instantaneously. Adding to this, the P520 is GPS enabled so you can easily record the exact location of where a picture was taken. Wi-fi isn’t built in however and you’ll need the optional Wi-Fi dongle to instantly transfer images and movies to any smart device. Available from the 21st February, the Nikon P520 will cost £399 and it’s expected to be available in three colours – dark silver, black and red. 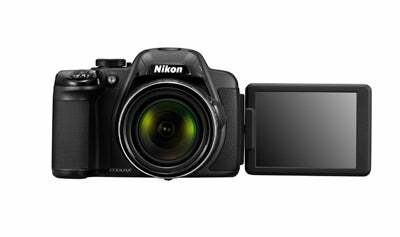 At the same time as announcing the P520, Nikon has launched the L820. 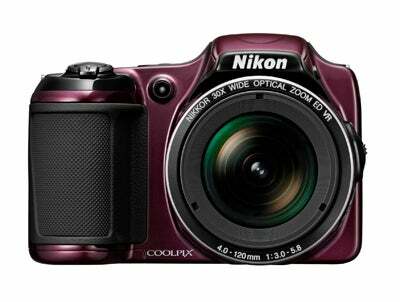 Powered by four AA-size batteries, the Coolpix L820 features a more conservative 30x optical zoom and provides a 22.5-585mm equivalent focal length. With a construction of 12 elements in 9 groups, the lens construction features 1 ED lens element compared to the P520’s four. At the heart of the L820 is a 16MP CCD sensor that offers an ISO range of 100-1600. 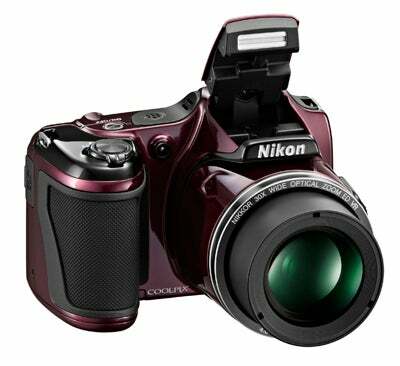 Other features include four different automatic anti-blur functions to ensure your subject remains sharp and at the rear the camera offers a 3in, 921k-dot LCD screen. With availability and pricing still to be confirmed, the L820 will be produced in four colours including plum, blue, red or black.